Editor’s Note: This article has been updated for 2019. When you’re juggling multiple credit cards and loans, it can seem like there’s no end in sight for your monthly payments, and when you’re only making your minimum payment, it might feel like you’re not making any headway in paying off your debt. If this sounds like you, you’re definitely not alone. A 2014 Gallup survey found that the average American has 3.7 credit cards. Additionally, the average credit card holder carries $5,142 in debt, according to TransUnion. This is in addition to any car, student or personal loans, so you can see how it doesn’t take long for the debt and monthly payments to stack up. In the above instances, debt consolidation might be a viable option. Combining all of your debts into a single debt and paying one instead of multiple small payments every month can help you get ahead. Unlike debt settlement and debt management, which can have detrimental financial consequences and lower your credit score, debt consolidation keeps you in good standing with your accounts and creditors. Student loan debt consolidation, one common type, can help graduates tackle debt with a single monthly payment instead, too. Debt consolidation loan rates vary from lender to lender, but in many instances, the interest rate can be lower than what you pay on your credit cards. If that’s the case, then more of your money goes to pay off the principal and less goes toward interest. Using a debt consolidation loan calculator can help you estimate monthly payments and determine if it’s a money-saving option. If you’re ready to reduce the number of payments that you make to creditors each month, it might be time to look into debt consolidation. Because this option doesn’t reduce the amount you owe, it’s important to understand its advantages and drawbacks before diving in. Compare the top debt consolidation loans of 2016 to see if this debt-relief strategy is right for you. If you’re juggling several credit card and other debt payments, you’re a good candidate for personal loans for debt consolidation. This not only helps you manage monthly payments with a single payment, but it also can reduce your interest rates, which can save money in the long term. Not all lenders are created equally, though. Ultimately, you have to choose the one that matches your specific terms and your needs. These companies are some of the most highly rated and a good place to start in your search for a personal loan. Lending Club is the world’s largest online credit marketplace. Applying for a personal loan or debt consolidation loan through Lending Club is easy because all of the work is done online. You can request a quote online and see what you qualify for in a matter of minutes. Getting an instant quote won’t impact your credit score, either. You can request a personal loan worth up to $40,000 with fixed rates and no hidden fees. With fixed rates, your payments don’t change from month to month, so planning and budgeting is easier. APRs range from 6.95%–35.89% and terms range from 36 to 60 months. Lending Club lets you pay off your loan early to reduce interest charges with no prepayment penalty. Loans through Avant are available in amounts ranging from $2,000–$35,000. The company offers fixed rate APRs between 9.95%–35.99%, and you can choose from loan terms ranging from 24–60 months, depending on your needs. Avant branded credit products are issued by WebBank, member FDIC. Unlike the previous sites mentioned, PersonalLoans.com matches you with lenders instead of providing the funding itself. You fill out an application with PersonalLoans.com, but your application’s approval is up to the lenders in the company’s network. If one of these lenders approves your loan, you can receive funds in as little as one business day. You will need a minimum score of 580 and you must have a reliable pattern of responsibility in your credit history. If you have a pattern of late payments, bankruptcy, recently charged-off accounts or debt that you can’t cover with your current income, then you might not be eligible for a loan from PersonalLoans.com. SoFi is an online credit marketplace that boasts lower APRs, fewer fees and more flexible terms than its competitors. Like the other lenders, SoFi has an online application that lets you browse rates without obligation or worry over impacting your credit score. There are no origination fees or hidden fees, which can equate to greater savings over the life of your loan. One aspect that sets SoFi apart from other lenders is that it does offer unemployment protection. If you lose your job, you can temporarily pause your payments and not have to worry about falling behind. SoFi personal loans are available in amounts ranging from $5,000–$100,000 with terms of 3 – 7 years. Fixed rate APRs start at 6.790% with autopay. Rates are slightly higher (by .25%) if you do not autopay. Payoff (from Happy Money) is a company that aims to help you take control of your financial situation with The Payoff Loan. The company works differently than most other lenders in that it offers counseling, education and a number of other benefits. For example, Payoff works with you if you become unemployed and have trouble making payments. Additionally, Payoff reviews resumes and can help you with job placement. Loans from Payoff are available in amounts from $5,000–$35,000 with terms that are 24-60 months. Loans come with fixed rate APRs between 5.99%–24.99%. An origination fee of 0%–5% applies, but Payoff has eliminated several other hidden fees, such as application, prepayment, late payment, returned check and annual fees. While the lenders mentioned above are the top picks, there are many more to choose from. These debt consolidation loan companies offer attractive terms and several benefits, but they might be hard to qualify for. If you do meet the requirements, these loans are definitely worth looking into. Upstart realizes that there’s more to you than just your credit score, so the company takes other factors into account when it reviews your application. These factors include your education, area of study and job history. By evaluating these factors, Upstart can determine your future potential. This is good news for recent college graduates who haven’t established a solid credit or employment history, but it could be bad news if you need a personal loan and aren’t a college graduate. With Upstart’s online application, you can check your rate in two minutes. If you’re approved, then you can receive funds in as little as one business day. Loans are available in amounts ranging from $1,000–$50,000 with APRs between 87.74%–35.99%. Loan terms are available for 3 or 5 years. If you’re someone who likes to deal with financial matters in person, OneMain Financial might be for you. In addition to its online application, OneMain also has branches over 1,600 branches across 44 states. Head online to find out if you qualify; if you do, then you meet with a loan specialist in person to verify your information and go over your loan options. Loan amounts range from $1,500–$30,000, but the amount that you qualify for varies depending on the information you provide along with the state you reside in. OneMain loans have fixed APRs ranging from 16.05%-35.99% and fixed payments, so the amount you owe is the same each month. Term lengths range from 24, 36, 28, or 60 months. LightStream is a lender that offers personal loans in amounts from $5,000–$100,000 to people with good or excellent credit. The company prides itself in customer service and a quality experience and offers $100 to customers who aren’t satisfied. Online applications are fast and simple, and you can receive funds the same day in some instances. APRs range from 3.99%–16.99% with loan terms between 24–144 months. The downside to such good terms is that, in order to qualify, you have to have a high credit score — generally over 720 — and substantial income and assets. You must have good credit to get approved for a loan from Prosper — the company requires a minimum credit score of 640 for all approved applicants. If you meet that qualification, then you’re eligible to receive a loan in the amount of up to $40,000 with a fixed APR of 6.95%–35.99%. You have fixed rates, fixed payments and a fixed term of 3 or 5 years. The application process is simple, and the company’s website is easy to navigate. Many people have credit cards issued by Discover, but even people without credit cards can apply for personal loans from the lender. Discover offers personal loans up to $35,000 with fixed rate APRs between 6.99%–24.99%. The company also offers flexible loan terms between 36–84 months, so you can choose the repayment schedule that fits your needs. There are no origination fees or prepayment penalties, and if you receive a Discover personal loan and then change your mind, you can return the funds within 30 days without paying any interest fees. Not everyone has good or even average credit, and if you’re considering debt consolidation, then there’s a chance this applies to you. While most lenders require good credit and a solid financial history before paying out large sums of money, you shouldn’t count yourself out if your credit is less than stellar. As the name suggests, debt consolidation refers to combining the debts from multiple sources into one. In order to consolidate debts, you often need to take out one large loan to pay off multiple creditors. In doing so, you eliminate multiple monthly payments and are left with just one to pay. If you have several high-interest credit cards, consolidating them with a personal loan can reduce your interest rate to save money over time. One thing to note about debt consolidation is that you’re not lowering the amount you owe. You still have the same principal balance and are responsible for the entire amount. The difference is that that total balance is now with a single lender rather than multiple creditors. This differs from debt settlement, wherein you come to an agreement with creditors to settle your debt for a reduced amount. What Kinds of Debt Consolidation Loans Are There? Before borrowing a large sum of money, it’s important to understand the different types of loans available. This helps you choose one that suits your needs. While every lender and every loan has different rates, terms and requirements, there are two distinct types of loans available. For the purposes of debt consolidation, you should learn the differences between secured and unsecured loans. Secured loans offer less risk to the lender. In order to obtain a secured loan, you have to put up some form of collateral. This is usually a house or car, but it can be any other asset of value. Secured loans are easier to qualify for and often come with lower interest rates and better terms because of this collateral. Additionally, you might have a longer amount of time to pay back the money. This is because the lender risks less by issuing the loan with the collateral as backup. If you default on your payments, the lender has the ability to take possession of your collateral to settle your debt. While you have a better chance of qualifying for this type of loan, you’re at greater risk for losing your assets if you find yourself unable to pay. Unsecured loans offer less risk to you, the borrower, because you don’t have to put up any form of collateral in order to receive a loan. Instead, lenders look at your credit history, employment history and other financial information to determine your creditworthiness and risk. If you meet the lender’s requirements, then it might approve you for an unsecured loan. Because the lender assumes the greater risk in this type of loan, you may end up with higher interest rates, a lower loan amount and a shorter amount of time to pay it off. Additionally, if you have poor credit, are between jobs or have other bad marks in your financial history, you have a harder time obtaining this type of loan. Where Do I Get a Debt Consolidation Loan? You have several places to turn when you need a debt consolidation loan. Local banks and credit lenders offer personal loan options right in your town and give you the opportunity to talk to someone face to face. You also have several online options if you prefer to apply for loans from the comfort of your home. If you hope to apply for a secured loan to consolidate your debts, then you likely have to work with a local company in person and locally. With an unsecured loan, you have greater flexibility. All of the companies mentioned previously are wise places to start in your search for a debt consolidation loan. Debt consolidation does have some drawbacks, and it’s not a viable option for everyone looking for relief from debt. Before jumping into debt consolidation, take time to consider all of your options and determine which one is right for you. Depending on how much debt you have and how much relief you need, you may consider credit counseling, debt settlement, debt management or bankruptcy. A credit counseling organization helps you learn to manage your money and your debts and come up with a budget so that you can effectively pay off your debts. 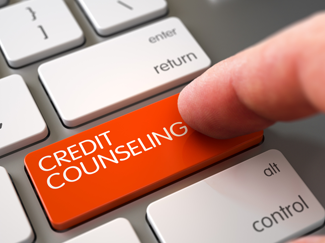 Reputable credit counselors are often part of non-profit agencies. Counselors discuss your entire financial situation and often work with you over several meetings. While some credit counseling organizations charge for services, you can find a number of local agencies that offer services at no cost. Debt settlement is a debt-relief strategy in which creditors lower the amount you owe to them. Debt settlement companies work on your behalf to negotiate a settlement agreement with your creditors. Unlike credit counseling, which is often from a non-profit organization, debt settlement companies are usually for-profit. With this option, you contribute a certain amount each month to a special escrow account. Once that account reaches a certain amount, the debt settlement company reaches out to your creditors and offers a lump sum payment. When contributing to the escrow account, the company asks you to stop making monthly payments to the creditors. While these companies can settle your debts for lower amounts, it’s not without risk and can have serious negative consequences — when you stop making payments to your creditors, this can lower your credit score, sometimes by 100 points or more. A credit counselor might refer you to a debt management plan if you have too much debt or are really struggling to repay your debts. With these plans, you pay a certain amount into an account, and the debt management company uses those funds to pay off unsecured debts, such as credit cards and loans. Additionally, the debt management company negotiates with your creditors to get lower interest rates. The caveat to this plan is that you may be required to refrain from using credit or opening new accounts until your old debts are paid off. While debt management companies have more experience negotiating with credit card companies, it’s critical to remember that you can speak with your creditors directly. Contact the credit card company to discuss your situation. Many times, it’s possible to negotiate a lower interest rate and a modified payment plan yourself. Bankruptcy is most people’s last resort and an avenue that they go down only when they exhaust all other options. It has severe consequences and can prevent you from borrowing money in the future. In some instances, it’s the option that makes the most sense. This is especially true if you qualify for Chapter 13 bankruptcy. In this process, a court reorganizes your debts and comes up with a payment plan that lets you pay off your debts in a specified amount of time. Some debts might be written off and you might have to sell off some of your assets, but for the most part, you get to keep your assets. This differs from Chapter 7 bankruptcy, wherein you must liquidate your assets in order to pay off your debts. This includes your house or car, if applicable. In addition to filing for bankruptcy, you’re often required to submit to credit counseling. Personal loans and balance transfers are the two most common options for debt consolidation. The right option greatly depends on your situation. It also depends on the APRs and terms lenders and creditors offer to you. If you have several high-interest credit cards and struggle to make monthly payments, then there’s a good chance that the interest charges greatly impact your ability to decrease your debt. In this instance, a balance transfer to a 0% interest credit card could be a smart option. The 0% APR introductory period gives you time to work toward paying off the principal and reducing the overall amount you owe. Just be sure to keep an eye on interest rates and fees after the introductory period ends. If you have several loans and credit cards, it might be difficult to make several minimum monthly payments. In this instance, a personal loan for debt consolidation might be a good option. Rather than deal with several minimum monthly payments, you have just one, and you might get a lower interest rate and have lower monthly payments, too. Making monthly payments for multiple credit cards and loans can quickly eat away at your bank account while doing little to reduce your debts. If you only make the minimum payments on your credit cards, then you pay much more in interest and make payments for a much longer time period. With a debt consolidation loan, you can use the funds to pay off all of your other creditors and focus on one monthly payment instead. Get a handle on your debt and work your way to financial freedom by evaluating the top debt consolidation loans of 2016.